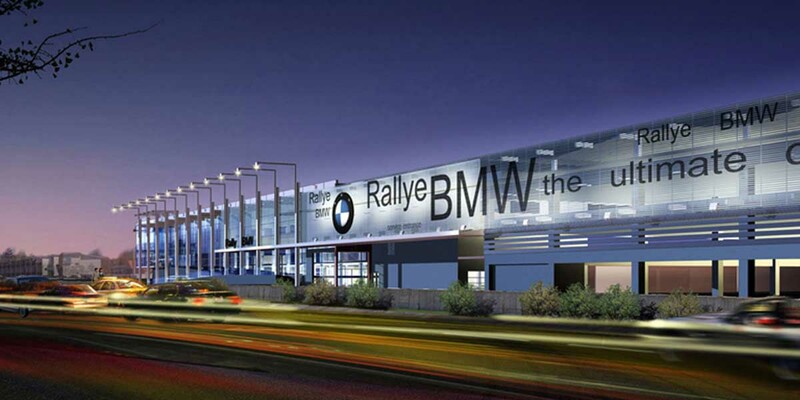 Rallye BMW implemented the MDL Service Drive Concierge system for their store in Westbury, NY to help initiate more contact with guests on the service drive with their sales and service consultants. Service Consultants, Sales Consultants and Porters are able to greet guests by name when they drive through the service drive. The MDL process also helps initiate the RO a little quicker, and present the professional and personalized service experience that Rallye BMW strives to provide in all of their stores. This implementation is really going to push to help close the gap between service and sales and help unite them as one front. Therefore really giving the client the best experience possible. One (1) RFID reader for service drive concierge with 2 standard antennas located in their service drive. One (1) RFID reader for car wash with 1 standard antenna located at the end of the car wash.
One (1) flat screen on the service drive that is used to initiate interaction with the clients upon entering the service drive. Two (2) MC55 scanner for tag association of client and inventory vehicles.